This stylish Leo Classic traditional basin and polished washstand is a luxury bathroom design based on the original design of the last century. This traditional washstand is still manufactured by its original designers. 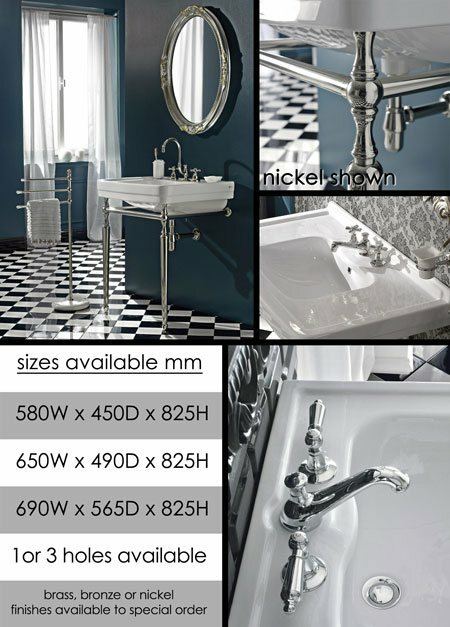 Shown in polished chrome finish but also available in nickel, polished brass and brushed brass to special order. * The original bathroom design. * High quality polished washstand.